A September increase in the birth rate? Or in exhibitionism? 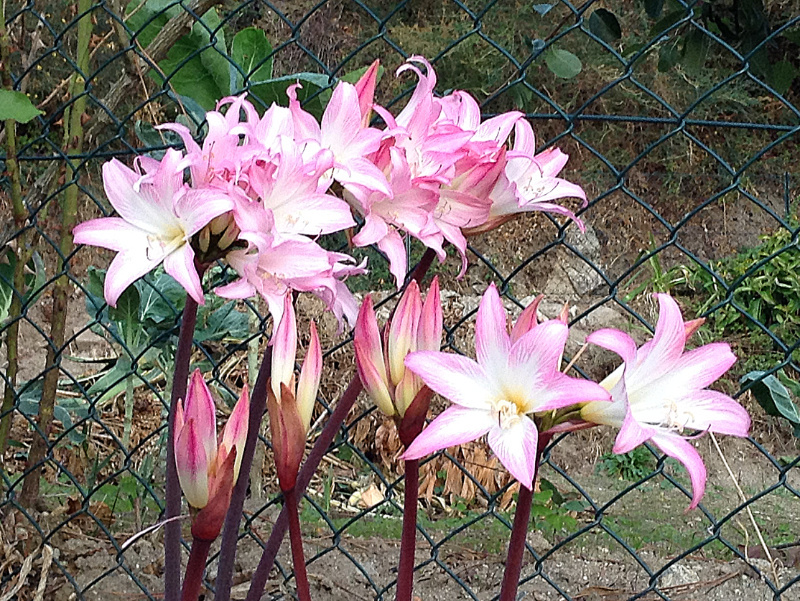 I love these delicate lilies that appear at the end of summer/beginning of autumn in Portugal. Each petal is fringed in dark pink which fades into white as you look deeper into the trumpet. They appear in clusters unencumbered by leaves. Why in the title do I ask if they represent a spurt in the birth rate or a growth in exhibitionism? Can you guess? Why not click here to find out? When I visited some friends in Santarem recently I commented on their lovely lilies and Sandra said: "I don't know why but my gardener calls them 'meninas que vão a escola' – literally 'girls who go to school'. Isn't 'school girls' a bizarre name for a flower? What do other people call them? My New Zealand friends said that they were fairly sure that in New Zealand they were known as 'naked ladies', presumably because the leaves only appear after the flowers have died away. So you see, I was just joking about the birth rate and exhibitionism, though it's interesting to consider the different take the Anglo-Saxon community has on these flowers from the southern European one. And who do you think named them, men or women? I know what I think. Isn't it curious how many small things tell something about society's attitude towards women or at least the attitudes in the past when these names were given? 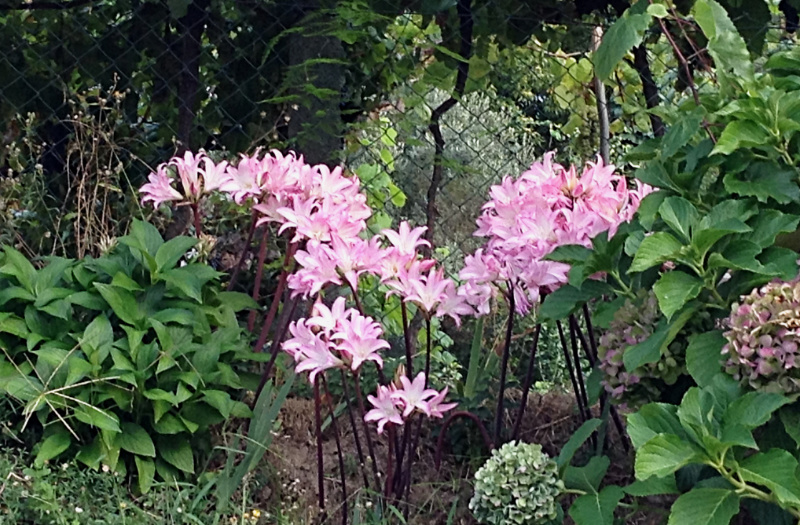 Would a new garden variety of lily be called naked ladies today? I doubt it. Would school girls still be acceptable or would the naming authorities look for something uncontroversial?